Evergreen perennial with attractive bright green foliage. The lavender-purple flowers have a spicy fragrance and attract butterflies. 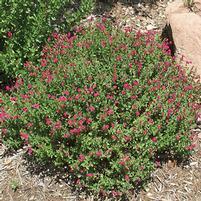 This evergreen perennial grows to about 2-3' tall and 2-3' wide. 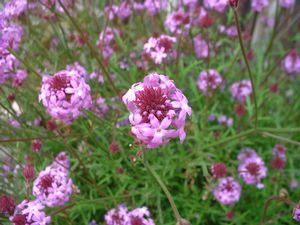 The clusters of pinkish-purple flowers have a wonderful spicy fragrance and are a magnet for butterflies. In cooler coastal areas of California, de la Mina is covered in flowers almost all year. In hotter inland areas, it doesn't seem to bloom quite as prolifically once the temperature cranks up in July and August, but you'll still see plenty of flowers. Plant de la Mina verbena in a spot that gets sun all day or for about half the day. 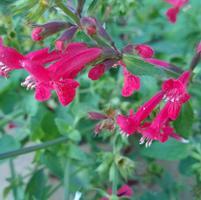 It will tolerate light shade, but will get a little floppy without enough sun and won't bloom quite as heavily. 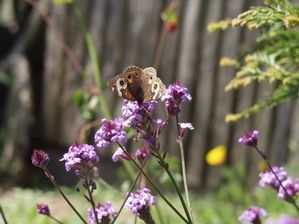 This verbena is tolerant of most soils, both dry and moist, as long as they drain well; it doesn't like being in waterlogged soils. It can handle the clay soils of the California Central Valley. 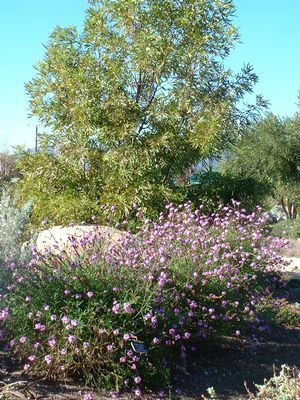 Once established, de la Mina verbena is fairly drought tolerant. On the coast, it'll survive with no supplemental water in the summer. Inland, we suggest a deep watering every two weeks through the summer and early fall. de la Mina verbena tolerates occasional frosts down to around 20°F, although you'll probably see some damage of the upper stems at this temperature. Several consecutive nights of sub-freezing temperatures will likely kill the plant, especially if it's still quite young and not well established. Verbena lilacina originates from Cedros Island off the Baja California coast. Geo-politically it's not from California. However, Baja California is considered to be within the California Floristic Province and, therefore, plants from this area are classified as California natives. This selection of Verbena lilacina was introduced by the Santa Barbara Botanic Garden. At the nursery, the deer haven't touched this verbena. A few rabbits moved in in 2010 and they haven't touched it either, although the plant does get big enough for them to hide under it! Occasional deadheading prolongs the blooming season and helps the plant to maintain a nice rounded shape. Once a year, use a pair of hedging shears to cut the plant back by at least a third to prevent it from becoming too leggy and woody. If you live in an area that's prone to frequent frosts in the winter, we suggest doing this annual pruning in early spring after most of the hard frosts have finished. Leaving the old growth over the winter will help to protect the base of the plant from the cold. If the plant's looking messy, give it a light shearing (cut off 2-3") all over to tidy it up, then do the severe pruning when the frosts have finished.